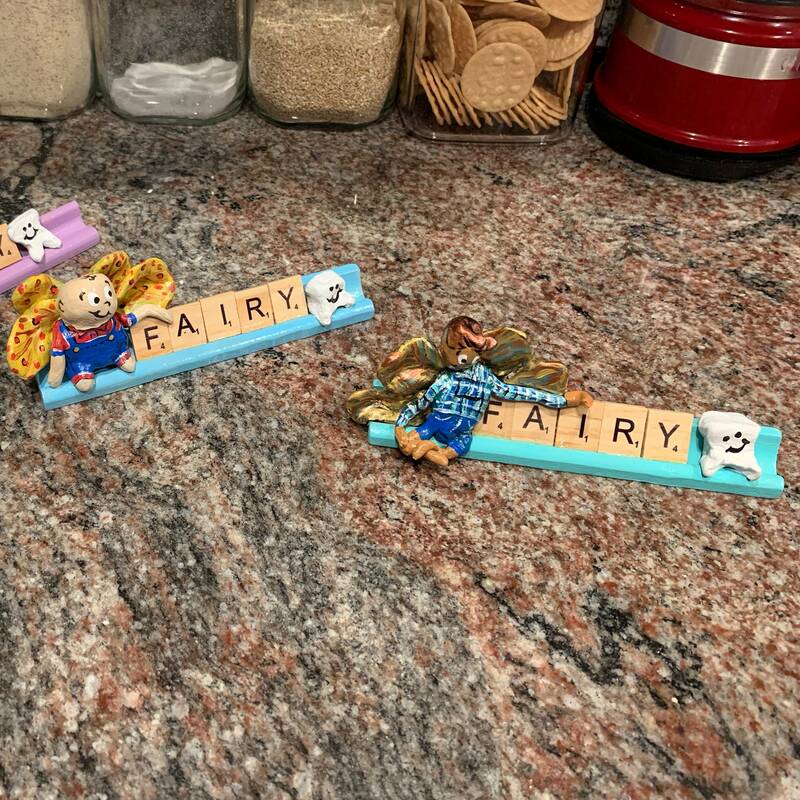 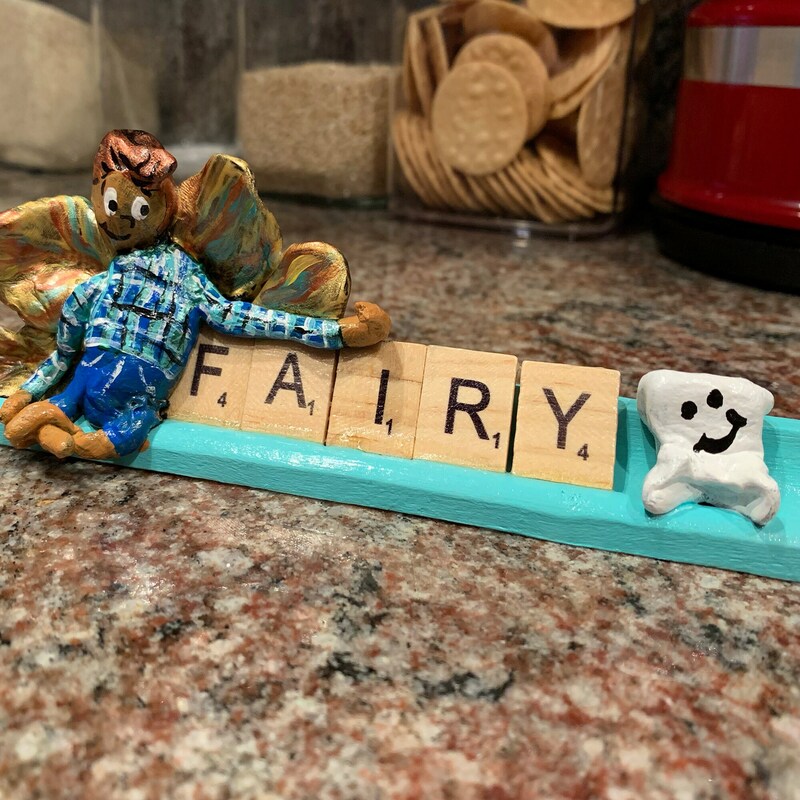 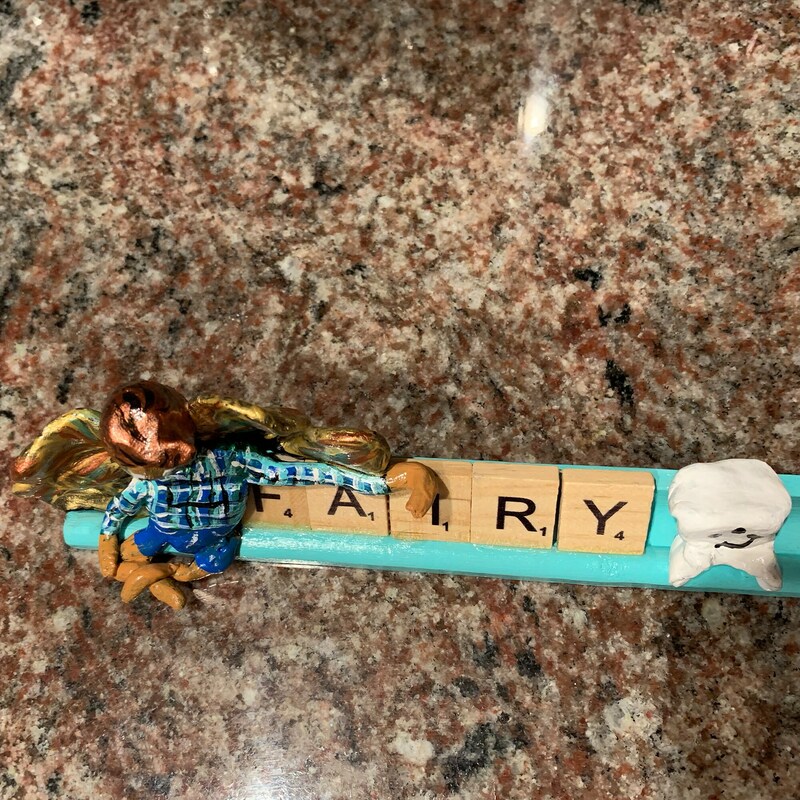 The Scrabble Tooth Fairy is a perfect companion, he will sit patiently waiting to collect a tooth and with the help of supervising adults have a payment waiting for the child when they wake! 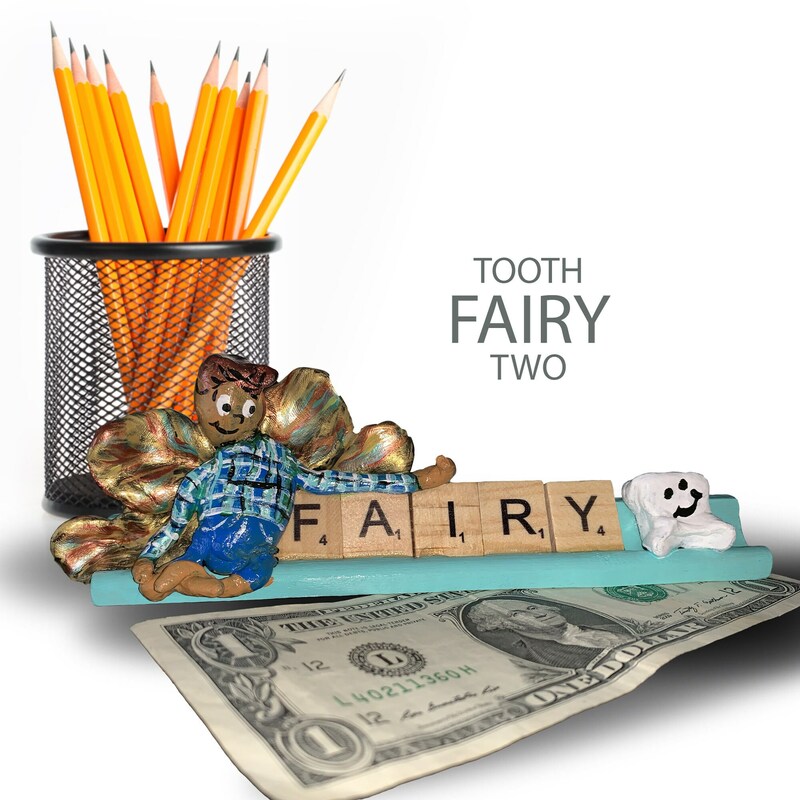 Tooth Fairy Two is the most flamboyant of the fairy series. 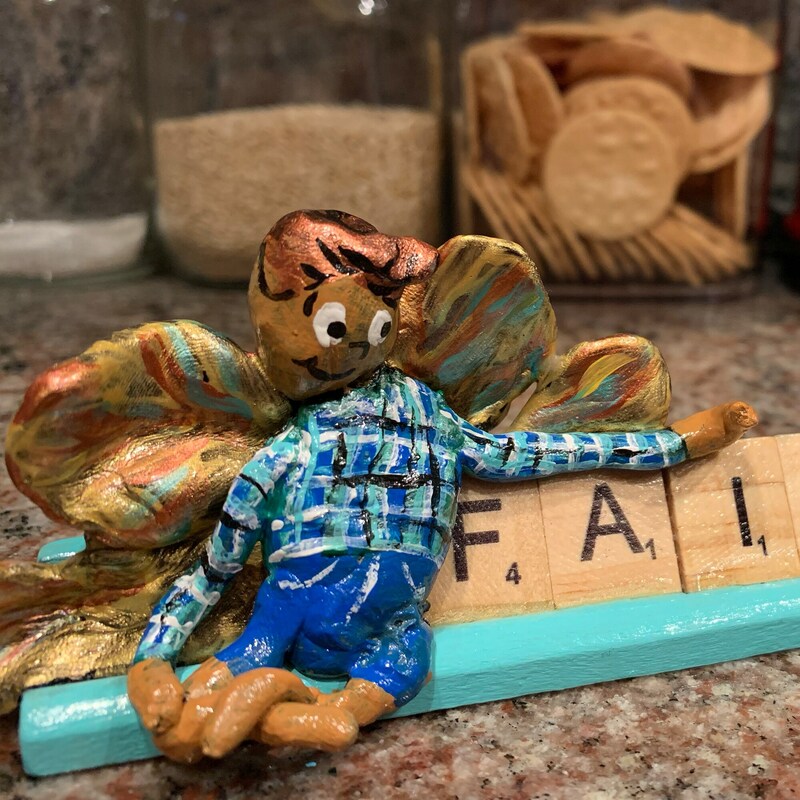 He has the shiniest wings of gold and bronze yet is casually dressed ready to play in his flannel shirt and jean shorts. 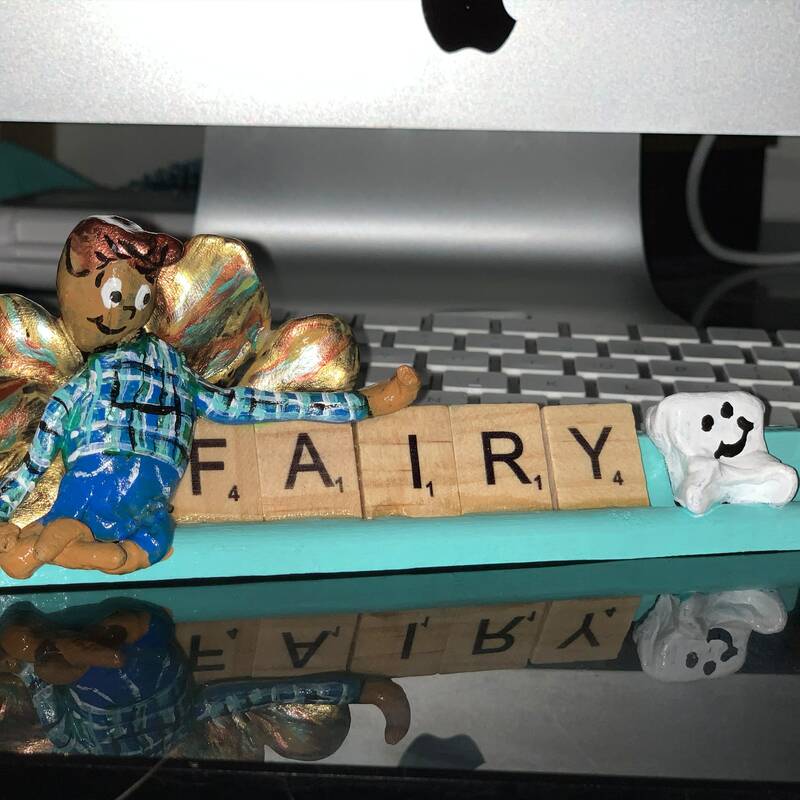 He would love to be part of your family.